Andrew Thomas is a New Zealand based artist who lives by the sea with his wife & 2 kids + cat. He is an X NZ & Australian Frisbee Champion. He is a production designer working in theatre, film & exhibitions. Thomas has received much acclaim & several awards for his work. He also composes music for film & theatre. 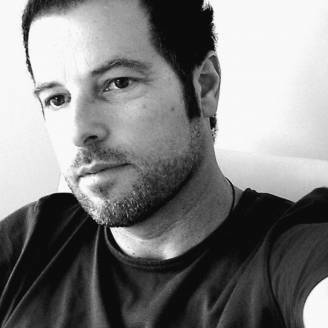 As a Production Designer, Thomas has worked on projects that have screened in festivals in New Zealand and around the world, including the Dance Film Festival at the Georges Pompidou Centre in Paris, Cannes, the Montreal Film festival & in the critics choice at the 2004 Paris Film Festival. In 2000 Thomas released a CDR ep – SO YOU WANNA BE A (death)STAR on New Zealand label INVOLVE RECORDS. & over the last few years he has been a part of the pop ambient series & as well as releasing 2 albums - FEARSOME JEWEL & GAPS IN THE SUN on KOMP3 & a 12” ep HUSHHH on KOMPAKT. He has contributed to THE ORBs mix CD – THE ART OF CHILL 4 released on PLATIPUS & has been playing with New Zealand band SKALLANDER on their latest album released on TYPE RECORDS. Thomas also has been collaborating with NZ artist SIGNER on the album NEW FACE OF SMILING released on CARPARK.